Dramatherapy and Social Theatre: Necessary Dialogues considers the nature of drama, theatre and dramatherapy, examining how dramatherapy has evolved over the past decade and how the relationship between dramatherapy and social theatre has developed as a result. In this book Sue Jennings brings together international dramatherapists and theatre practitioners to challenge, clarify, describe and debate some of the theoretical and practical issues in dramatherapy and social theatre. Contributors cover topics including: dramatherapy in communities ground rules and definitions cross-cultural perspectives dramatherapy with adoptive and foster families research with professional actors. Dramatherapy and Social Theatre is illustrated throughout with case vignettes providing examples of how theatre and therapeutic processes can be brought together. 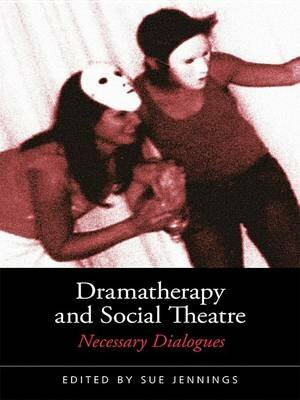 It will be valuable reading for both professionals and students involved in dramatherapy and theatre studies.